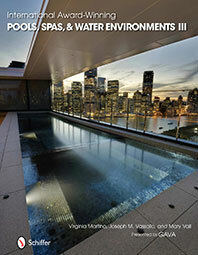 ‘Create something different’, was precisely what this homeowner wanted from their new Sunset Pool design. With this spacious area to work within, the Sunset team really enjoyed creating something different to meet this family’s brief. 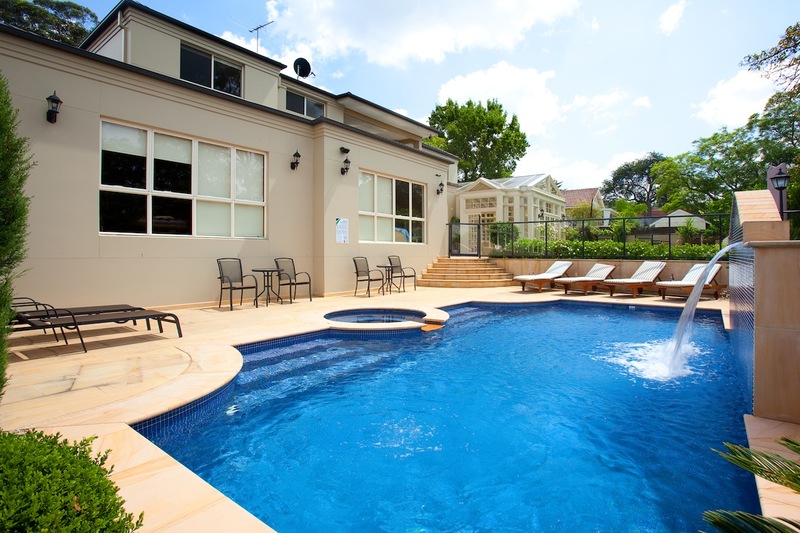 These Sydney property’s owners requested that the spa be on the same level as their swimming pool, and that it created a symmetrical focus in their large sunny back garden. To the owner’s delight, Sunset transformed their outdoor living space into a Mediterranean style alfresco entertaining area. 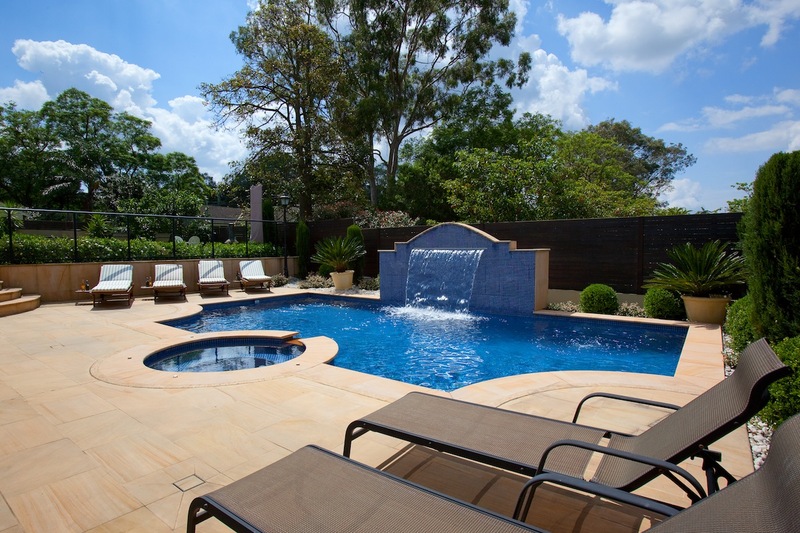 If you have need of something different plus insist on being treated as special, call Sunset Pools to discuss your lifestyle aspirations on 1300 000 412 or complete the enquiry form right now. Directly opposite to the central circular spa is a colour matched waterfall feature, complementing this leisure area’s perfect symmetry. 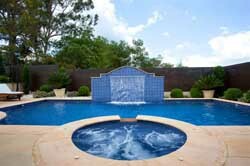 The Sydney sandstone coping and expansive paved entertaining area forms a perfect visual contrast to the timeless mosaic tiled swimming pool and spa interiors. Sunset Pools implemented a dual zone solar heating system which returns water through the swimming pool’s floor at both the deep and shallow ends, effectively avoiding cold spots that can occur in large volume domestic swimming pools like this. The spa has its own heating system, discreetly hidden behind the waterfall, with the remainder of the installation’s automated water filtration and sanitation systems. 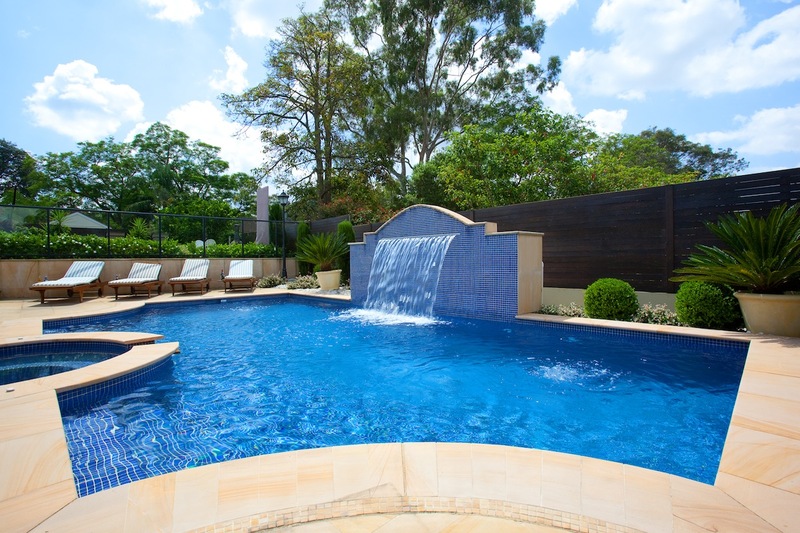 The easily regulated waterfall cascades over 2 metres requiring exceptionally high volume hydraulics, a hallmark of every Sunset Pools water management system. These pool owners will benefit from the long term advantages of optimum filtration, heating, sanitation and spa-jet performance achieved through Sunset’s use of high capacity pumps with 80mm piping throughout. To optimise the classic interior mosaic finish, Sunset grouted the tiles with an epoxy solution that further enhances the pool and spa’s shell waterproofing, plus extends the life and enjoyment of this unique addition to it proud owner’s family’s home. 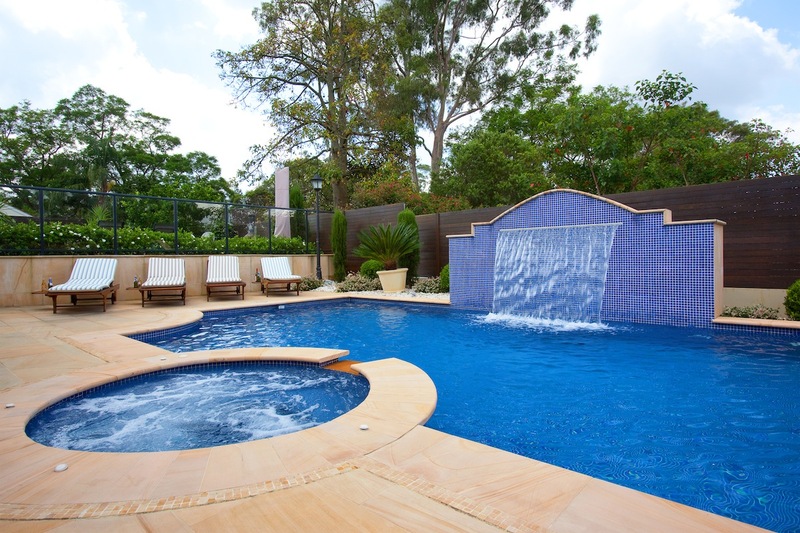 Designed and built to achieve all of their selective client’s lifestyles – this Sunset designer pool and spa realised that ‘something different’ for this discerning Sydney family. If your lifestyle demands something different from the everyday talk to Sunset Pools, where your particular desires will always be listened to and treated as special. Call 1300 000 412 or complete the enquiry form right now.